“Why start with a Honda?” is something I’ve answered a million times, and hopefully, I’ll direct doubters here instead of repeating myself ad infinitum. Admittedly, Honda holds a special place in my heart. 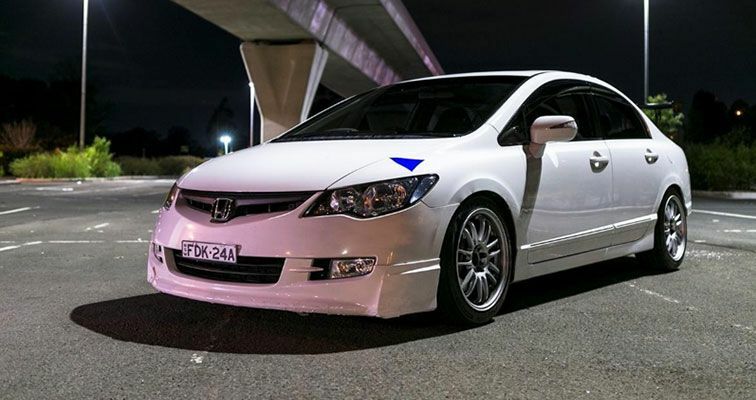 A Civic sedan was my first car…and fourth car…and now my current car. I just keep coming back to the Civic, because it ticks so many boxes. My 2006 Civic Sports is cheap as chips now, with most available around the $6000 mark. It’s well built, with ample room inside and packing a sizeable trunk. Honda debuted the futuristic split level instrument display in this model, with the digital speedometer and temperature readout directly below the line of sight out the windscreen. Truth be told, I picked up the car nearly as is. The previous owners had done all the hard work, and it’s chockful of aftermarket goodies. 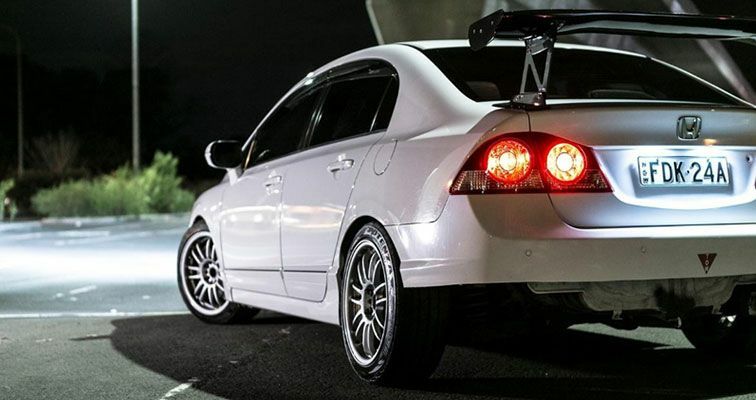 The 2006 Honda Civic is one of the only few mass market cars in that era to have fully independent suspension all round. 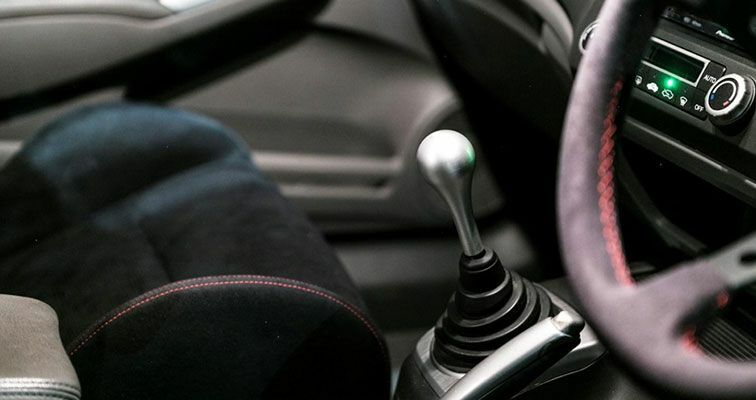 In a front wheel drive car, it changes handling and ride dramatically. The difference in ride and handling is head and shoulders above other cars with a torsion beam rear, and the gulf widens even more when modified. The stock shocks have been replaced by GAB SS adjustable coilovers, and every suspension arm has been replaced by a Hardrace equivalent. Thicker Hardrace swaybars replace the stock the items to help the Civic corner flatter. With the new adjustable camber arms and bolts in place, the Honda Civic runs a very aggressive suspension alignment to exploit its chassis’ potential. Up front, the Civic’s stock brakes were ditched for a set of Integra Type R Brembos calipers, matched with dimpled and slotted rotors and Dixcel Type Z racing brake pads. All brake lines have been replaced with braided versions for better braking feel. One of the best things about Hondas are how so many OEM parts are interchangeable. Not only does it make modifying cheap and accessible, Honda OEM parts are known to be bulletproof. 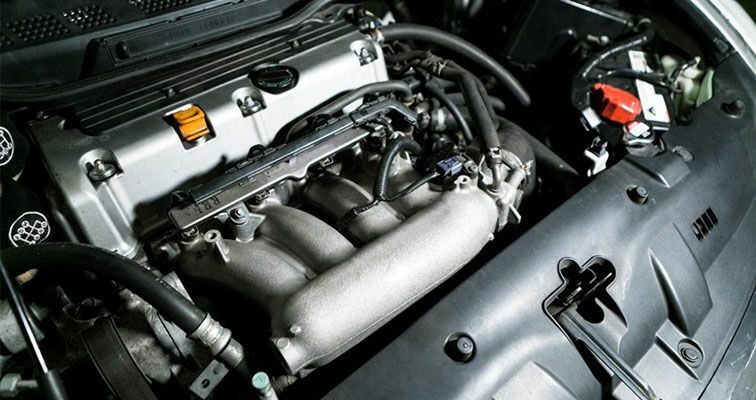 The original 2L K20Z2 was geared towards fuel economy more than high revving, screaming VTEC power. So the previous owner managed to shoe horn the K24A, a 2.4L engine found in the Honda Accord Euro into the engine bay. A 50 degree intake Variable Timing Cam from the Type R engine was added, along with the bigger Type R plenum and throttle body. With an aftermarket Hondata ECU, and a titanium exhaust, it’s putting down 145kW to the wheels. Not crazy power, but it has nearly 50kW more over the stock engine. 145kW may sound cute in the world of 200kW hot hatches, but thanks to a rebuilt, six speed gearbox with a 5.1 final drive, acceleration comes fast and furious. To reduce understeer, the gearbox also has a Mfactory differential installed to scamper around corners quicker. The best thing about quick front wheel drive cars is that they are quite forgiving and easy to drive quick. This holds exceptionally true for the Honda Civic. I could chuck it around at corners at ballistic speeds and it’ll be stuck to the tarmac, or understeering gently as it approaches its limits. In tight turns, the aftermarket LSD locks up and scrambles the car out of corners. Of course, the Civic’s incredible handling wouldn’t exist if I decide to cheap out on tyres. 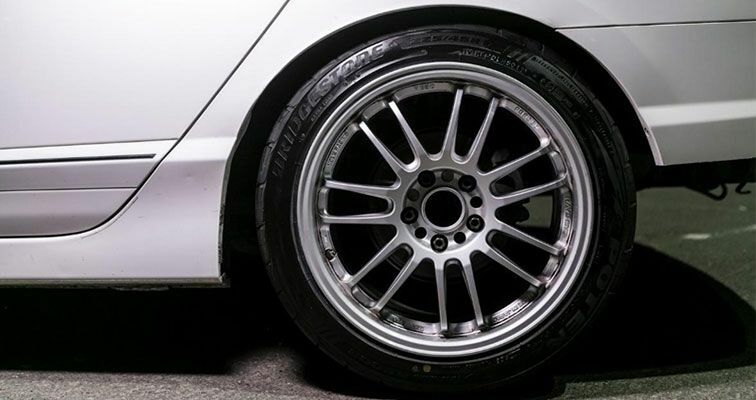 My lightweight forged Volk Racing RE30s would be pointless if the tyres couldn’t keep up. 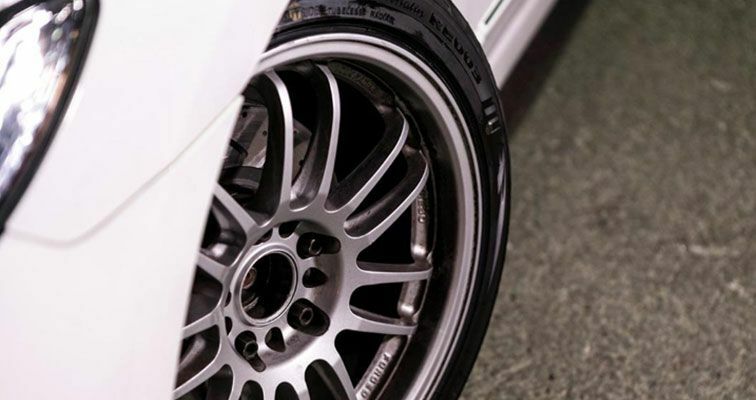 By choosing the Bridgestone Potenza RE003, the Civic has ample grip to exploit its limited power. On spirited drives, the tyres are extremely communicative about what both ends are doing. Turning into corners was a pleasure, with the RE003s letting me know just how much I can push it. Lift off oversteer was there if I was game, with the tyres ready to snap the Civic back into safety if I let the tail out. I had used the RE003s at the track, and was really surprised it actually held up well. While outright grip doesn’t compare to its big brother the RE-71R, the RE003s set a respectable lap time. The Civic outpacing more expensive, powerful cars is always a satisfying feeling, and it wouldn’t have been possible without the RE003s. The 2006 Honda Civic looked really bland. 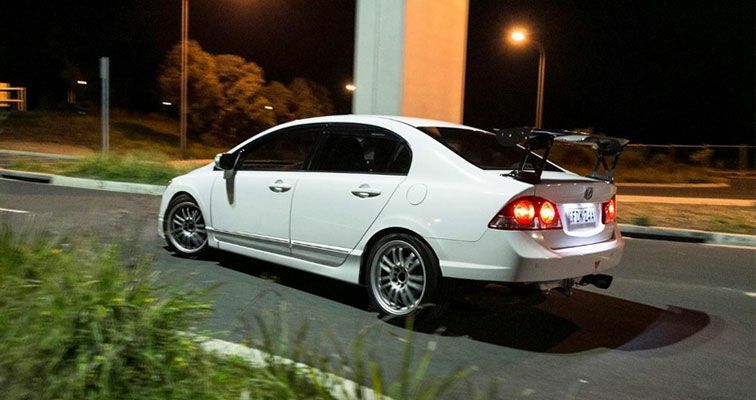 Aftermarket options were expensive, but with an addition of an aggressive front lip, a chopped rear bumper and a massive carbon fibre rear wing, it has just the right amount of aggression to suggest it’s a Civic that doesn’t mess around. 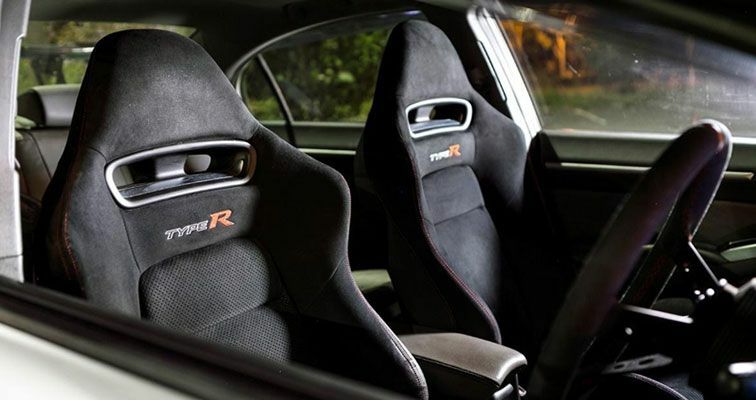 Inside the stock seats were replaced with Civic Type R ones that hold me in while cornering hard, while the steering wheel has been replaced with an Alcantara deep dish one for better aesthetics. Currently the plan is to enjoy the Civic as is, while keeping up with the maintenance. As a daily driver, it’s fantastic, other than the nuisance of shifting five gears to get to 60kph. I love seeing the reaction of people when I pass them by, with the cut rear bumper and massive wing. The Potenza RE003 has great treadwear life, while providing awesome grip in the dry or wet, so I have no concerns driving on them daily too. 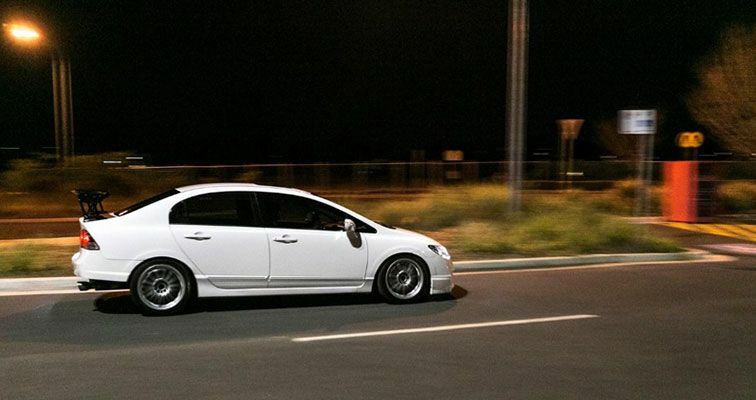 However, when I do need to hit the twisties or the track, I know the Potenza RE003 will let me to push my Civic hard. 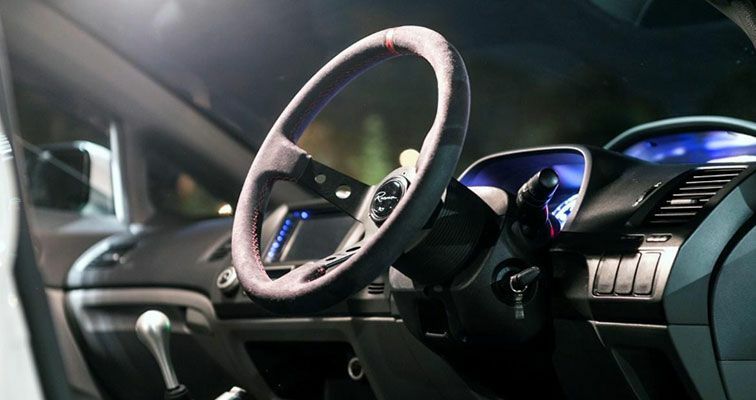 To follow the H&R Ford Focus RS build, click here.